Christal leading a volunteer group in a native coastal grassland. We contribute to education and outreach efforts concerning conservation, climate change, natural history, and general understanding of science. 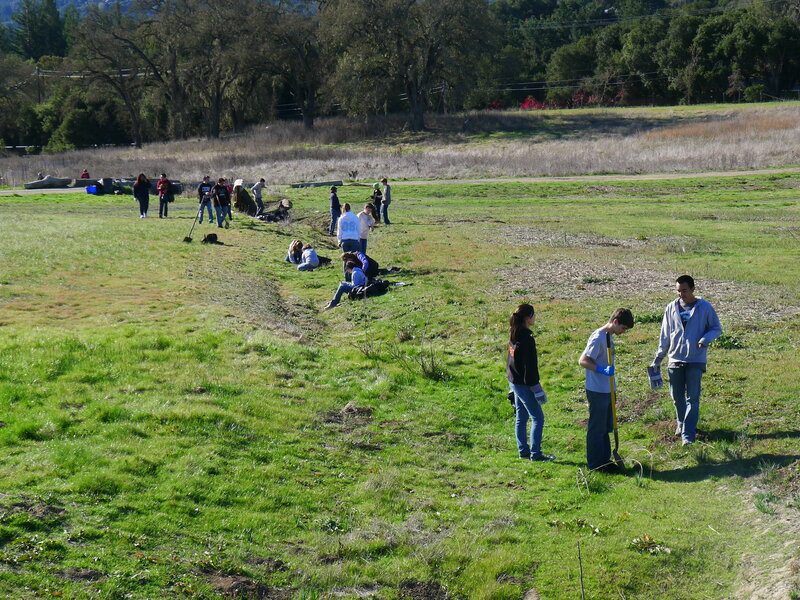 Volunteers transplanting creeping wild rye to increase slope stability.